Latest Press! Our Love for the Cardigans! Thank you to The Newtimes for the great write up about the band and for interviewing Mike. We really do love the Cardigans - the secret is out!! NEW MUSIC RELEASE COMING SOON! 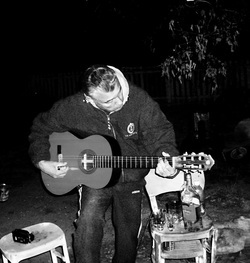 Mike Montoya is set to release his first solo album with tracks featuring Nowhere Man and a Whiskey Girl. Check out a sample below. And stay tuned for more info on where you can pick up a copy. Starting with Fatigo, It's been a very interesting year. I moved to Bisbee Az about a year and a half ago, started a Bisbee Line-Up of the Band (Sam & Danielle Panther, Randelle Saline, Anji Kate, and NM&WG ...when they're available) and still managed to play a few cool shows with both versions. The people at The Crescent Ballroom have been really great to us and we are very grateful for the support they give to our noise. 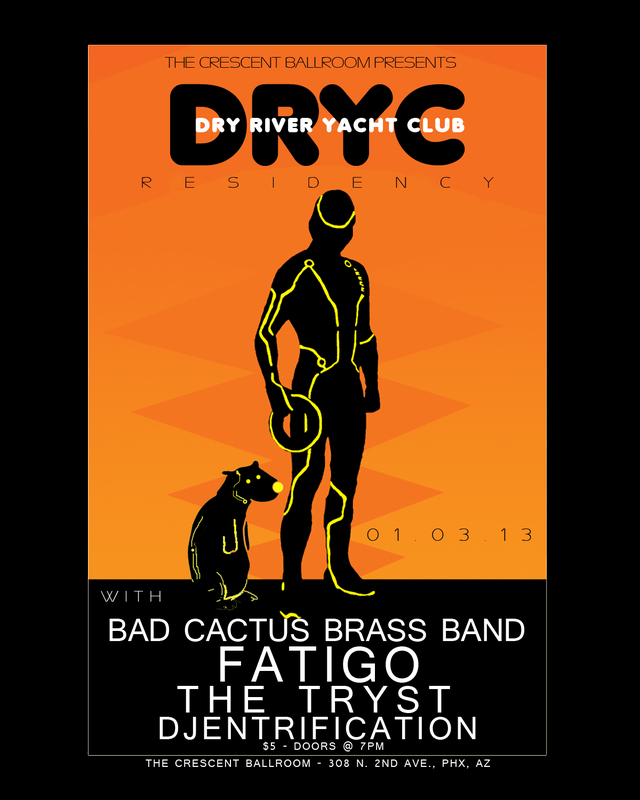 The Next Fatigo (Bisbee) show will be June 15th at The Bisbee Stock exchange. Also Anji and I play Fatigo songs as a duo. Will be updating calendar......uh today! 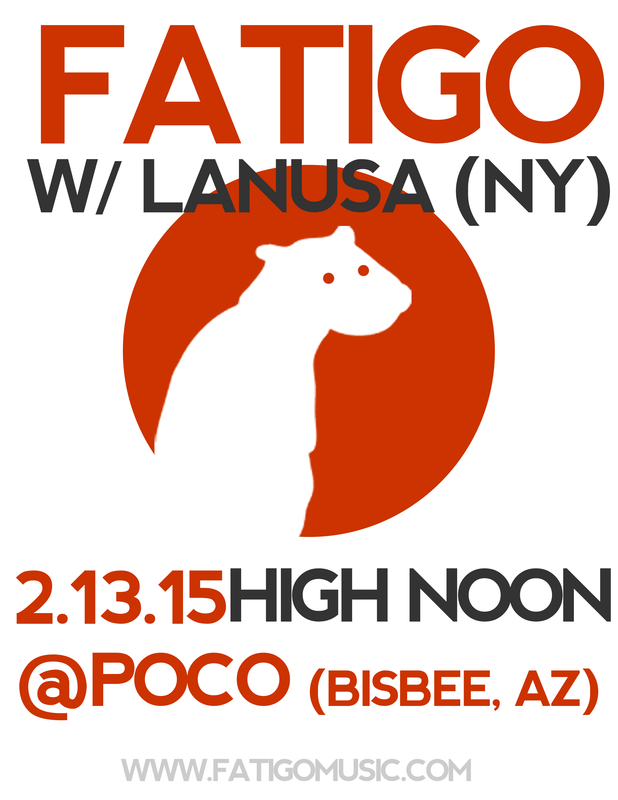 Keep an eye out for a Fatigo Ep featuing Bisbee and Phoenix versions of Fatigo....Ya mero! Also in the works are recordings with NM&WG. Conjunto Royal: This is a group Anji and I formed with some Bisbee locals (Becky Reyes, Jim Harrelson) about 6 months ago. Basically, we 've compiled a list of our favorite latin songs and present them in our own way. We'vejust added Randelle Saline on bass. It's already sounding great. We're stoked to be part of the annual Rock for Rehab concert in Bisbee on 4/27. We're also playing at the Tubac Golf Resort May 11th. 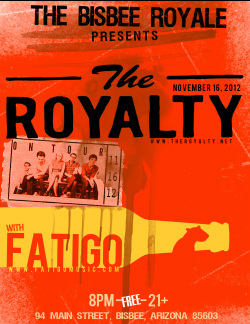 Fatigo meets up with The Royalty live at the Bisbee Royale in Bisbee, AZ on Friday, November 16th at 8pm. Cover is only $5 which is a steal to see one the nations best up and coming bands - The Royalty (Victory Records). Don't miss this show! Check out The Royalty here at www.theroyalty.net. or watch their video below. 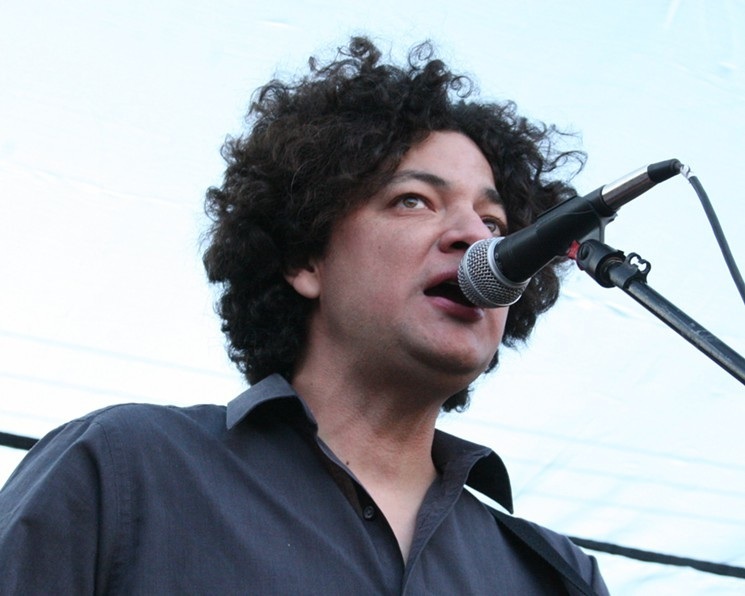 This weekend we lost one of the most talented and inspiring musicians in Arizona. Our heartfelt sympathies to all mourning this loss today. Mark was considered not just a friend of Fatigo, but a family member as well. We played many shows with him and his bands - Colorstore and Sweetbleeders - often taking the stage just after them. We used to joke about how long it took Mark to set up before a show, but each time it was worth the wait. 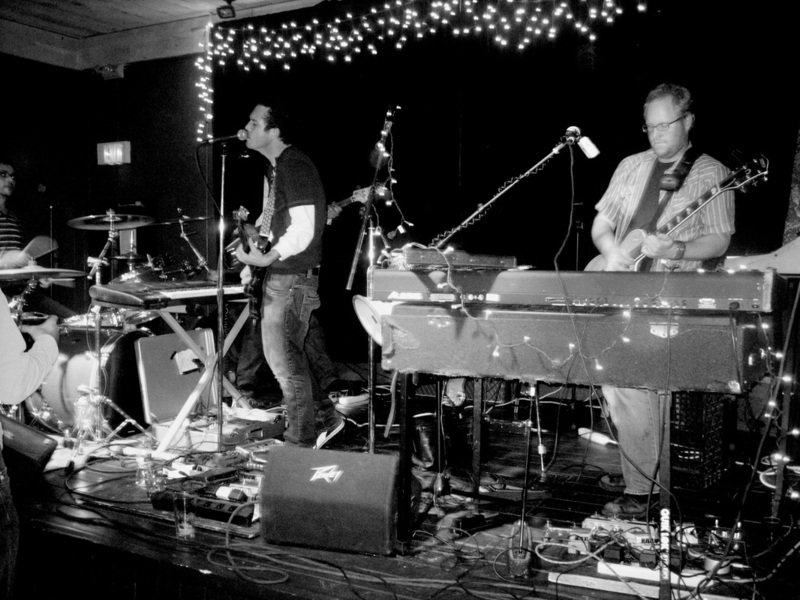 Mark had a commanding presence not only on stage, but in the Phoenix music family. He was an inspiring musician, a creative soul and a great dad. We will miss him dearly. I recently got a chance last Saturday to view my own band from the safety of the audience. I say safety cause often on stage playing next to Montoya can often be hazardous to one's health... especially after burrito night. It was a kind of surreal evening. 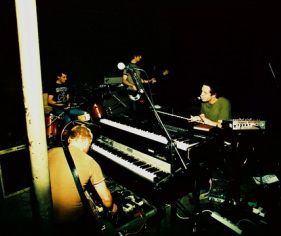 this was not my first time riding the pine as Lindsay and I often switch nights holding the rest of the band together. This night though was one to remember even if i was not directly involved in entertaining the crowded masses. Fatigo took the stage with monsoon clouds looming overhead and I wondered if they would be able to get through the set before mother nature brought down her fury. Playing outside in the middle of August in Arizona on top of a converted blacktop parking lot doesn't necessarily bode well on most nights, but that night the Crescent had thought ahead and provided some much needed cooling trailers to keep the audience rocking out. That, and the fantastic array of brewery stations and places to grad a cold one spread throughout the venue. Opening with Dormido, a personal favorite of mine, Fatigo drew the crowd in and it was there that Montoya and the band held them to the fire. The sound was plenty awesome, especially for an outside event, and the mood was an intense mix of fun and sweaty dancing in a relaxing sort of way. Truly a great night as the band delivered some old hits like Menso and some newer soon-to-be chart busters like She Tags. One might think that sitting out on such a big event would make me jealous or even a bit remorseful...not me. I was just thankful i got to hear the band continue to play the distinct Arizona sound they are known for. and, i was able to avoid those "hazardous" situations. Cheers mates! Thanks for an awesome show.